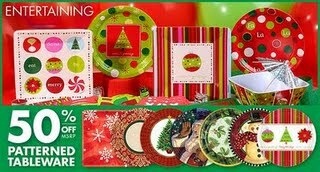 If you’re searching for decorations for an upcoming holiday party, you may want to head on over to Party City! Through 12/14, you can use this coupon to save $10 off any purchase of $30 or more. This coupon does exclude clearance items, but does not exclude products that are on sale. I would keep your eyes peeled for sale items and then combine them with this coupon to get some great deals.